SEATTLE — It’s midway through the third quarter, and the sight of Jamal Crawford beginning to high-step as he starts his dribble means one thing: He’s ready to attack. The defender, however, is not ready to be embarrassed and uses his right arm to poke the ball toward half court. Both players instinctively chase the ball and dive, with the defender getting there first and nearly rolling up the back of Crawford’s leg. To the couple of hundred fans watching from the stands at Royal Brougham Pavilion on the campus of Seattle Pacific University, it’s a basketball play. To the people who understand that Crawford is an NBA free agent —and some of the people close to him would prefer that he sit the summer out until he gets a new deal — it’s a play that could have yielded some serious consequences. He loves his home city of Seattle even more. Fourteen years ago, Crawford took on the responsibility to run the Seattle Pro-Am, which at the time was under the direction of Doug Christie, the Seattle native noted for being a defensive standout during his 14-year NBA career. Last year the league was rebranded “The Crawsover,” a name that borrows from the signature, ankle-breaking move that Crawford’s perfected throughout his NBA career. This isn’t an event to which Crawford, 38, simply attaches his name. Crawford is involved year-round, and he’s been known to call to Crawsover staffers from NBA locker rooms just before game time to offer suggestions on how to make the league better. He’s responsible for everything from arranging visits by NBA players to a city that hasn’t had a franchise since the Seattle SuperSonics left in 2008 to the selection of the public address announcer who keeps the crowd entertained. NBA player and Seattle native Jamal Crawford poses for a portrait on Aug. 11 at Royal Brougham Pavilion at Seattle Pacific University in Seattle. 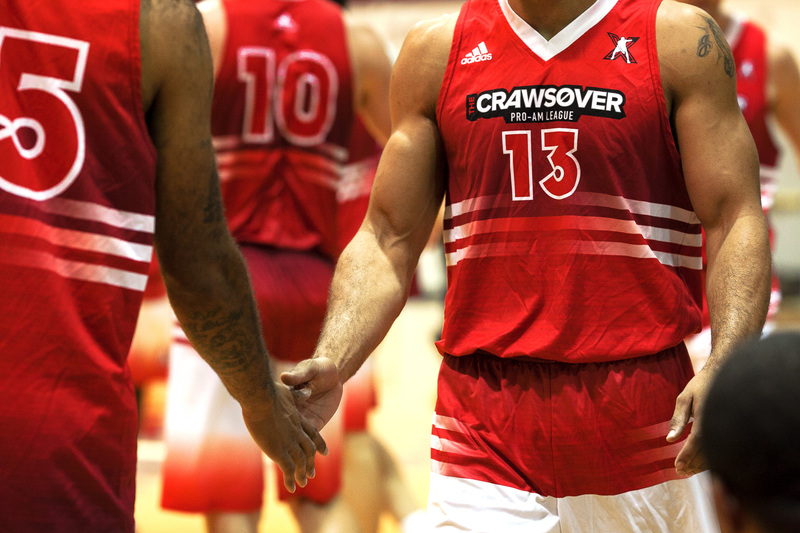 Crawford runs “The Crawsover,” Seattle’s pro-am basketball league. 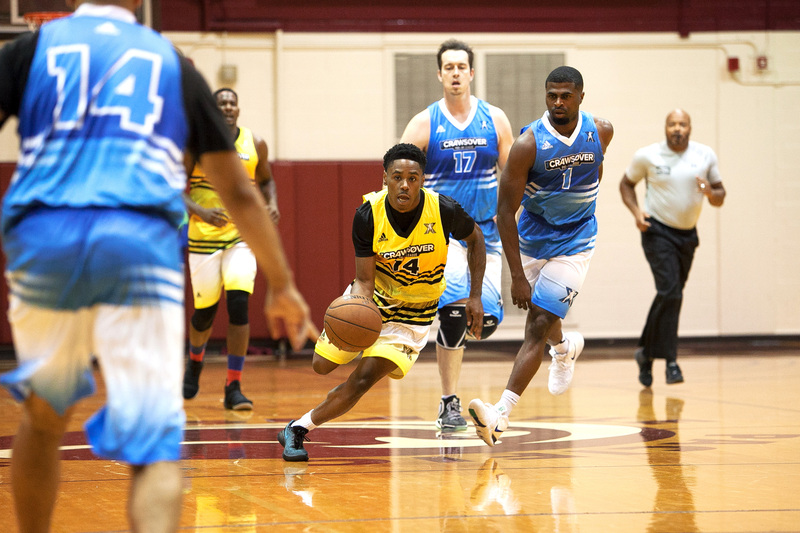 Where the Drew League in Los Angeles is ultracompetitive and the Brunson League in Baltimore showcases the edginess of the people in Charm City, The Crawsover is a reflection of the laid-back nature of this Pacific Northwest city. Some would say that’s debatable. What may not be debatable is the Seattle area supplanting New York City as the top birthplace of great guards, as the region has produced a long list in recent decades that includes Crawford, Christie, Zach LaVine, Aaron Brooks, Jason Terry, Isaiah Thomas and Rodney Stuckey. 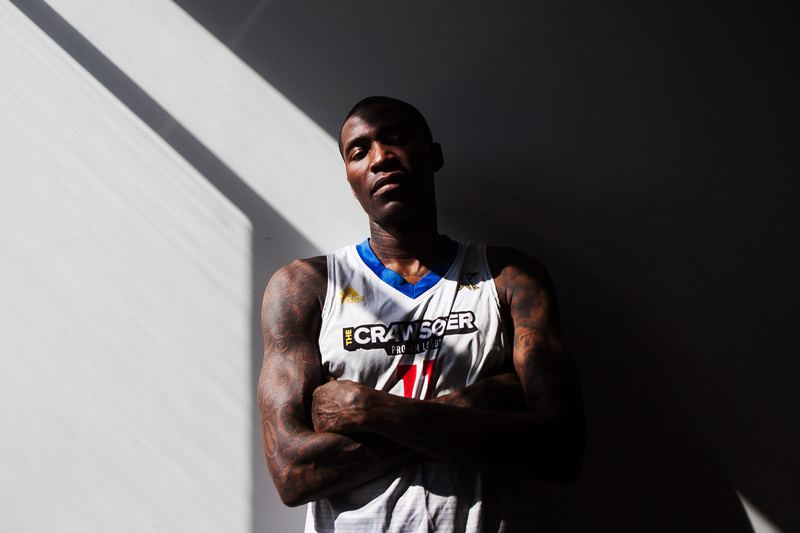 A decade after losing the Sonics, Jamal Crawford makes sure Seattle remains NBA-connected. 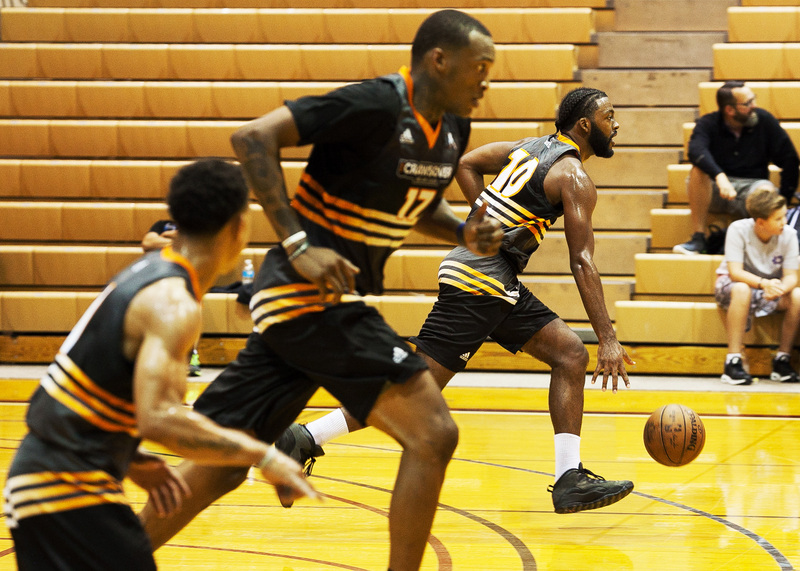 Three of the recent area players to emerge in the NBA, Dejounte Murray (San Antonio Spurs) and Marquese Chriss (Phoenix Suns) and LaVine (Chicago Bulls) have already made appearances in The Crawsover this summer, as well as homegrown former NBA players Martell Webster and Spencer Hawes. Over the years, Crawford has also been responsible for bringing in Kevin Durant, John Wall, Blake Griffin, LaMarcus Aldridge and even Kobe Bryant. One of the reps working with Bryant tried to interject, explaining they had a plane to catch back to Los Angeles. But Bryant pushed the private plane back a couple of hours and made the trip to the gym. Word spread fast. Bryant didn’t play. And the people didn’t care. By the time Crawford introduced Bryant, the Royal Brougham Pavilion was packed. Crawford is all about making special things happen in Seattle. At 5 p.m. on the day before his wedding, Crawford announced he would have a bachelor party in the form of a midnight basketball game and suggested it might be wise to get to the gym early. SB Battle’s DJuan Miller (center) runs the ball against The Unit during their Crawsover league pro-am basketball game at Royal Brougham Pavilion at Seattle Pacific University in Seattle on Aug. 11. The line to get in the gym was seven blocks long by the time Crawford arrived, and the fans lucky enough to get in saw the likes of Crawford, Chris Paul, DeAndre Jordan, Griffin, J.J. Reddick and Aldridge put on a show. Crawford gives back so much now simply because he was given so much when he was a rising basketball star growing up in Renton, a community just south of Seattle. The man giving back to Crawford then was Christie, who in 1992 was the first prominent player out of Washington to be drafted into the NBA in more than a decade. When Christie launched the “All Hoop, No Hype” Pro-Am league in 1996, he invited Crawford to play. Christie mentored many of the young kids who played basketball in Seattle but took a particular liking to Crawford, who played at Christie’s alma mater, Rainier Beach High School. The mentoring Christie provided was instrumental in Crawford’s development as a basketball player and made him determined to do the same if he ever made it big. Crawford was good enough to earn a scholarship at Michigan, and in 2000 he was drafted with the eighth overall pick by the Chicago Bulls. As his career launched and took off, his success allowed the youth Seattle to realize the dream of making it the the NBA was obtainable. Rashaad Powell poses for a portrait before his Crawsover league game with his Pro-Am team, Ball is Life, at Royal Brougham Pavilion at Seattle Pacific University on Aug. 11. Rashaad Powell had just completed his first year playing at Chemeketa Community College in Oregon when he got his first taste of the Seattle Pro-Am. Seattle wasn’t quite known as a hotbed for talent at the time. But for Powell, there was one player around his age who could provide a barometer for where his talent was. Powell, now 37, emerged as the guy Crawford hated to play against. For Rashaad Powell, the Crawsover summer pro-am allows him to test his ability against the NBA’s finest event. After playing two years of junior college, Powell was a walk-on at the University of Idaho, where his career numbers (6.2 points, 4.3 rebounds) don’t jump off the page. Rakim Brown (right), of WorldwideSM, dribbles down the court during his team’s Crawsover league pro-am game against Ball is Life at Royal Brougham Pavilion at Seattle Pacific University. Ball is Life coach Al Velasquez speaks to Kaden Anderson during their Crawsover league Pro-Am game against WorldwideSM at Royal Brougham Pavillion at Seattle Pacific University in Seattle, Wash. The summer workouts started at 10 a.m., but Powell would show up at 9 a.m. Ray Allen liked his work ethic and took him under his wing. With less than a week remaining in the monthlong workouts, Powell found himself alone in the locker room with Rick Sund, who was the Sonics’ general manager. The two spoke briefly, and you can hear in Powell’s voice today how much he regrets that encounter. 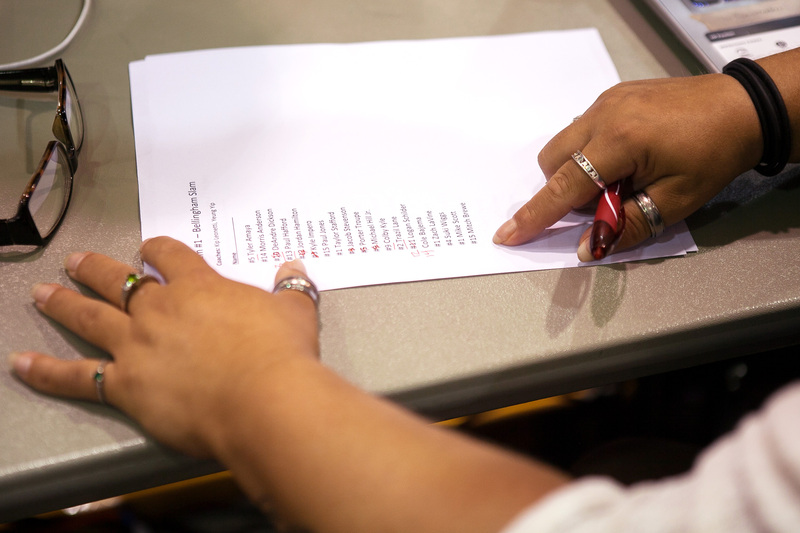 Sue Snow reviews rosters at Crawsover league pro-am games at Royal Brougham Pavilion at Seattle Pacific University in Seattle. “I didn’t shoot my shot,” Powell said. “I didn’t let him know who I was and what I wanted to do — which was to play in the NBA. I’d just gone toe-to-toe for an entire month with Ray Allen, and I had already proven I could compete against NBA players. 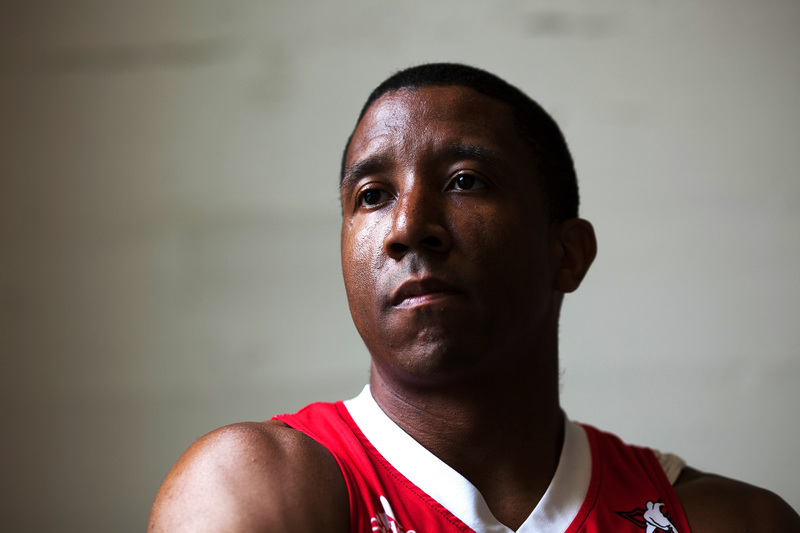 Powell’s professional basketball career ended three years ago, and today he’s coach at his alma mater, Renton High School, where he is also the dean of students. These days Powell is older and a bit slower, and he was never really that athletic. But he suits up every week at The Crawsover. Ball is Life during their Crawsover league pro-am game against WorldwideSM at Royal Brougham Pavilion at Seattle Pacific University in Seattle. In 2004, with his NBA career coming to a close, Christie reached out to Crawford. Crawford was the logical choice, having been by Christie’s side since he was first asked to play in the league in 1996. After accepting to run the pro-am, the task for Crawford was easy: provide a league and provide the same guidance to the young, up-and-coming players of the Seattle area that others gave to him. 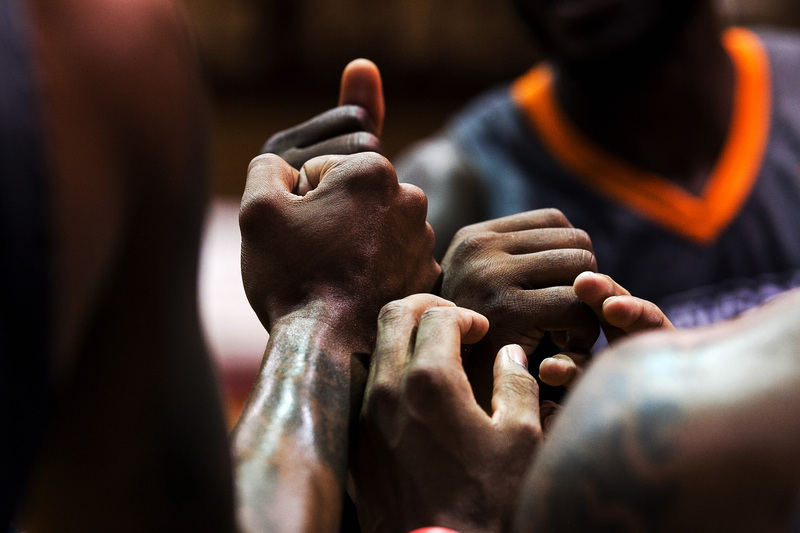 WorldwideSM huddles during a game for Jamal Crawford’s pro-am basketball league, The Crawsover, at Royal Brougham Pavilion at Seattle Pacific University in Seattle. 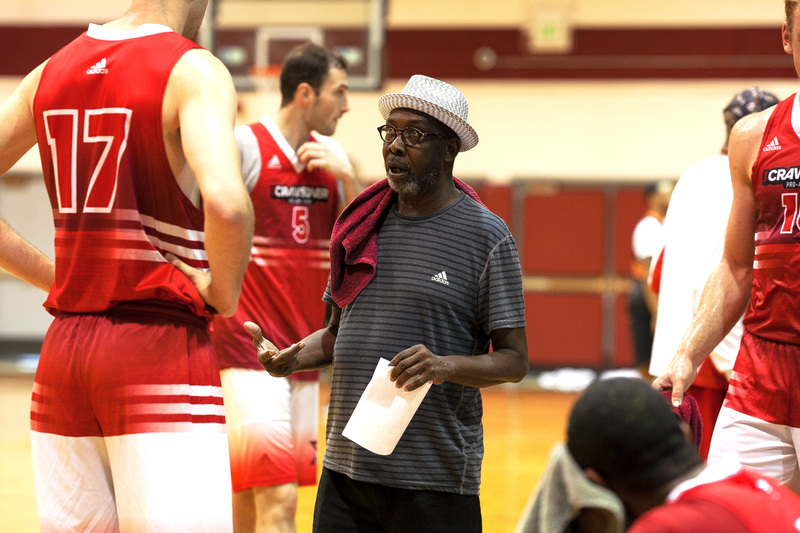 So each summer, Crawford plays the role of showman and teacher, providing thrills to the fans who come to see the games (admission is free) while offering guidance to the players who are talented enough to make it to the professional level. A commercial accounts manager by day, Vance Dawson spends his weekends as the announcer of The Crawsover where he brings flava to the mic. At the conclusion of each day of games at The Crawsover, Crawford makes his way to the corner of the gym with many of the young fans in hot pursuit. As he takes up position in the corner, the fans line up to say hello and take pictures. One teenager from Australia has stopped by as part of his family vacation. When it comes to being a champion for a city, what Crawford has done for Seattle is as good as it gets.